As the largest joint in the human body, the knees are especially susceptible to pain and injury. 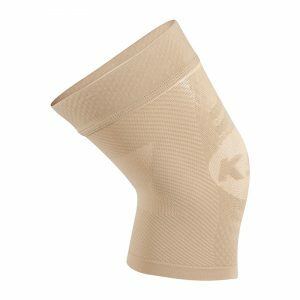 The KS7 Knee Compression Sleeve can help relieve knee pain by providing warmth, strength, and support to the affected area. Our high-quality nylon materials provide comfortable, lightweight support that will never itch, sweat or slip down your leg as you perform activity. The KS7 is able to relieve pain resulting from knee arthritis, patellar tendonitis, iliotibial band syndrome, Runner’s Knee, and more. Whether you are prone to knee pain, suffer from a chronic condition, or would like to stay active without risking a knee injury, the KS7 is the best knee compression sleeve for an active, pain-free lifestyle. 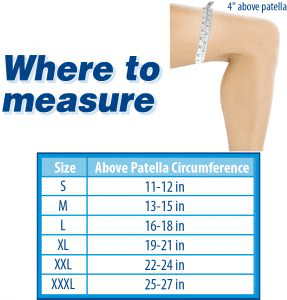 Only OS1st has accurate medical grade compression sleeves for knees bracing, backed by science, for knee support. The KS7 boosts circulation to reduce swelling in the knee and protects against bursitis or water on the knee. By distributing gentle, firm graduated pressure throughout the knee, blood circulation will increase. The KS7 compression knee sleeve promotes faster muscle recovery and reduces swelling. 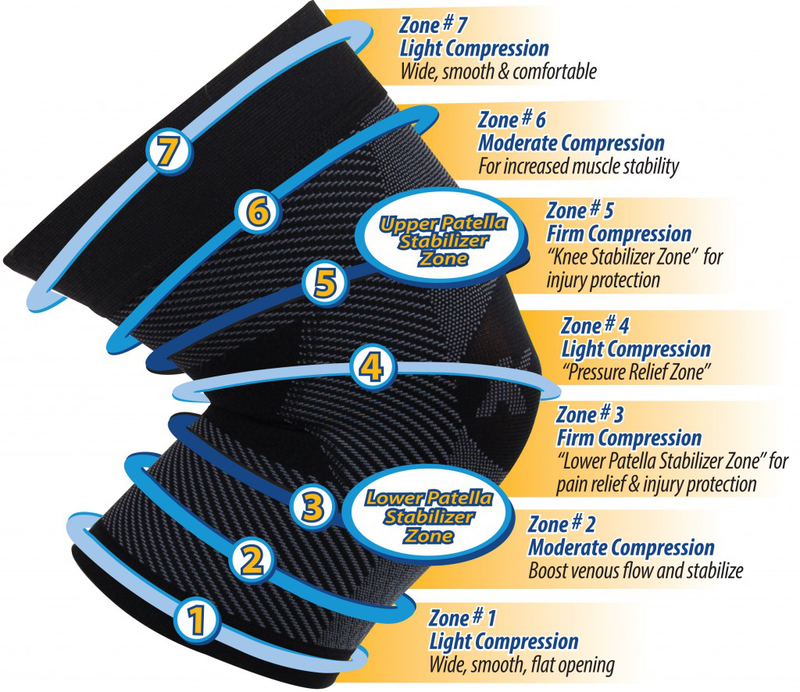 With seven graduated compression zones, your knee will have a broader range of knee support. 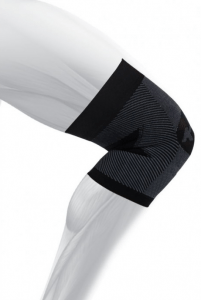 Wear the KS7 Compression Knee Sleeve today and start feeling relief immediately!